Compensation payments for inadequate pension transfer advice have hit £40 million, doubling in three years, the Financial Times has reported. The jump in compensation follows a seven-times increase in the value of defined benefit (DB) pension transfers over a similar period of three years. Many more people transferred their DB pension savings following the government’s Pensions Freedom rules. This gave people access to their full pension pots in defined contribution schemes, from the age of 55. In 2017 £37 billion was transferred out of employers’ DB schemes. The compensation figures were uncovered by Welsh MP Nick Smith, whose constituents include many steelworkers who have been victims of poor pension advice. 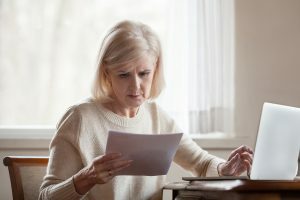 Research by the Financial Conduct Authority (FCA) revealed that less than half of the DB pension transfer advice was suitable.”It is unacceptable that pension transfer advice should persistently remain at such a low level in comparison to investment advice,” the regulator said. But former Pensions Minster and director of policy at Royal London, Steve Webb says that £40 million in compensation is small in comparison to the total value of transfers made. “I don’t think these numbers tell us anything very much about the quality of DB transfer advice in the last year or two,” he told Retirement Planner. Reports about the pay-outs have been published by FT Adviser, Citywire, and Retirement Planner. Professionalindemnity.com is owned by Brunel Professions, which is a leading professional indemnity insurance broker in the UK. Click here to get a quote or call 0345 450 1074 to speak to a broker.